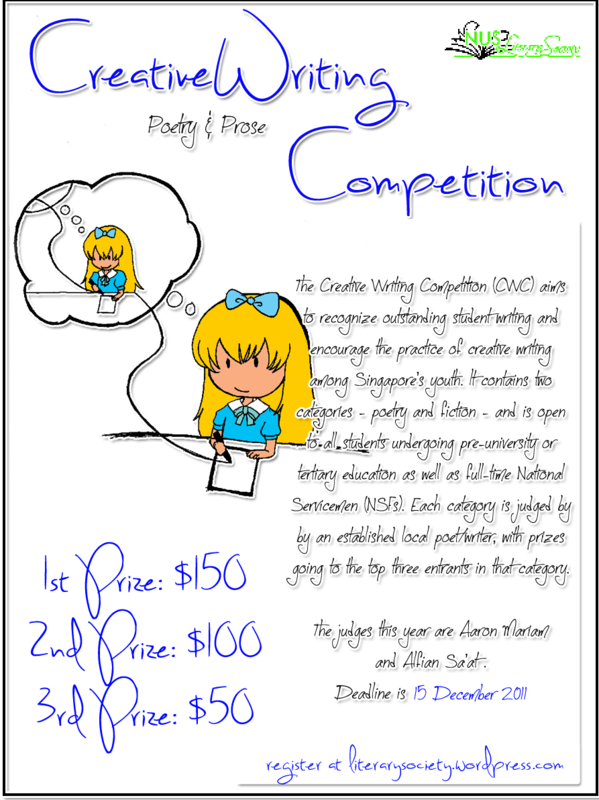 NUS Literary Society is proud to announce that we are now accepting submissions for the Creative Writing Competition (CWC) 2011! Kindly note that there will not be a category for play-scripts this year. Do refer to the accompanying poster and the CWC 2011 Entry Form for more details.